This will be an opportunity to introduce participants to Together for Hope's Rural Development Academy, which will offer an intensive study of the basic principles and practices of asset-based community development. The academy will be designed for practitioners, organizations, and churches wishing to learn more about community development specifically in rural areas. Do you believe God has hopes and dreams for your life? For your church? Do you believe God desires to reveal these hopes and dreams to you? To your church? If so, then why succumb to the temptation of spending lots of money and time trying to predict, plan and invent the next "thing" or "vision" that you will then ask God to bless? Dawnings is a discernment, renewal process centered on a rhythm of prayer, preparation and discovery. With Dawnings you discover God's next vision rather than predict and invent it. This shared, discovered vision centered on the leadership of the Spirit of God rather than on a consultant brings personal and church renewal, deepens one's relationship with God and others, and offers a discovered vision that is uniquely yours. Fred Rogers has inspired millions people for over the past thirty years. We will take a closer look at the ways that Fred Taught children all over the world and how we can use those practices to teach Christian education in the context of our congregations. Ann Beatty is a nationally recognized principal advisor and educator to senior executives throughout the United States. Her expertise is partnering with executive leadership and boards to improve individual and organizational performance, through CEO succession planning, assessment, performance evaluation, team building and developmental coaching. Ann will discuss the practicals of how coaching can assist the pastor in their calling and ministry setting, demonstrate coaching and dialogue about how to thrive in ministry in the present culture and context. First Baptist Columbia, MO has slowly adapted our worship services to make them connect with a postmodern congregation. We are creating worship that is multi-sensory, experiential, enhanced with art and other imagery, is more participatory in nature, and less clergy centric. This workshop will include a presentation of a research project which demonstrated that postmodern worship is more meaningful to people in the twenty-first century. Then, it will provide examples of how we have worked postmodern elements into our worship including images of the Lent and Advent art, how we incorporate lay people in worship leadership, and examples of the experiential elements. A resource list will also be provided. "We don’t have enough [fill in the blank]” is a common refrain in congregations. It might be true that the budget has shrunk, worship attendance has dipped, and some Sundays the children’s classrooms are empty. And yet, God still calls us to do God’s work in the world. In this workshop participants will learn how to explore the range of their congregations’ tangible and intangible gifts. Participants will then find out how to use this abundance to assess the effectiveness of current ministries and to consider how God might be inviting their churches to minister out of strength and sustainability. This is a unique hands-on workshop in two parts developed by Rev. William Beaver, a CBF-endorsed Army Chaplain. This unique tool was developed by Beaver while serving for two years in an Army Medical Center behavioral health ward with Service members of all branches. It allows small groups of people with diverse backgrounds and beliefs about God to explore their own personal stories through creation of personal Story Flags using basic colors and shapes. Part 1: Learn the tool. Part 2: Make your own Story Flag. 30 person limit. Both sessions encouraged. Drawing upon biblical, theological, and ethical insights, lessons learned during 25 years as a missionary in one of Asia's most religiously diverse nations, and two decades of interfaith leadership locally, nationally, and internationally, Dr. Sellers offers a rationale for living up to our name as "cooperative" Baptists. Our cooperation, like compassion and kindness, cannot be limited to those in our own network, but must be offered also to persons outside the Fellowship. They include followers of other religious traditions. Being the presence of Christ in a multifaith world thus demands that we understand why interfaith relations are Christlike and crucial. Lessons Learned from Three Generations of Disability: How Can Churches More Effectively Reach the Disabled Community? Nearly 1 in 5 Americans have a disability, but what are churches doing to meet the needs of this population (Center for Disease Control, 2015)? This workshop will recount one family’s experiences, spanning from the 1950’s to 2019, related to schooling and church involvement as individuals who are legally blind. Participants will be informed about lessons church leaders should learn related to serving individuals and families impacted by disabilities. Specific strategies for outreach and example resources will also be shared. Our goal is to share ideas from our experiences ministering to 20 and 30 somethings in our contexts, and open for discussion and dialogue among those in the session (their questions and experiences). We imagine it would primarily appeal to clergy, and maybe some lay leaders, who don't know where to start with this sort of ministry - but could be completely wrong about that. Would love for a group or network of those ministering to 20 and 30 somethings to emerge from this as well? Social justice leaders within CBF address pressing issues in congregations and discuss the importance of collaboration in seeking justice around the world. Following brief presentations about their social justice work, panelists will answer pre-selected questions and field questions from workshop attendees. Three national Baptist leaders reflect on the 400 year anniversary of Black enslavement and the role the church should play in the repair work for the descendants of slaves. The Baptist Joint Committee reports on the latest religious liberty news from Washington, D.C., including Supreme Court cases, legislation, and increased efforts to pass “Christian Nationalism” legislation, including how we can work together to oppose these efforts. This workshop will highlight the work and ministry of the Missions Excellence Award Winners. The churches have been selected, but we are still confirming who is presenting at General Assembly. This will be a collaborative workshop with all the winners (3 churches) sharing their best practices. When I get more detail, I can come up with an appropriate description. This is essentially a placeholder. I do know one church would like to present their work in a separate workshop in Spanish. Join other religious leaders for a discussion of best practices in faith-based advocacy on issues of law and public policy. Using the case study method, participants will share lessons learned advocating before government at the local, state and federal levels. Participants will explore the legal rules in this area as well as tools for faithful and effective advocacy. This workshop will provide a template for how churches can engage with immigrants in their community in a non-political and non-partisan way. How can one church make an impact in immigrants lives? This workshop will address strategies and concrete models that can be adapted to any church setting. These approaches will be based upon the ministry model used at La Puerta Waco at FBC Waco providing tools for community assessment and project development. Location, Location, Location! How does that impact Urban Ministry? Now you see them, now you don’t. Poverty is persistent and global. All urban centers around the world have communities impacted by persistent poverty. People living in these communities are loved by God and deserved to be seen and appreciated. Ways to engage communities of urban poverty will be presented by two faith-leaders who have practical and theoretical expertise in urban settings in the USA and in the UK. Clergy, church staff members or those considering graduate studies would benefit from this session. This workshop will equip participants with tools on how to be hospitable to international students in our institutions and churches without degrading them. Most often, well-meaning Christians in their attempt to invite, befriend, or evangelize internationals have alienated them. Participants will hear stories and points of views of internationals on the importance of authentic nurtured friendships that bridges the divide between cultures and races. This workshop will be a research presentation, guided discussion and dialogue. At the end of the workshop participants will leave with a better understanding on how to make this world a better place for Christ. Come hear and see how one church (Hendricks Ave. in Jacksonville FL) has invested itself with other faith communities in an initiative that is transforming the life of the city. OneJax is an interfaith organization that pulls together a variety of faith traditions in proactive and healthy ministry. Learn how your church can do something very similar in your setting. In this workshop, participants will explore New Baptist Covenant’s approach to helping Baptist churches of diverse cultures and ethnicities build authentic relationships with one another, and work together for racial and social justice in their communities. We will discuss how churches can begin to do the work of reconciliation and healing, look at best practice models that have emerged from our Covenant of Action partnerships, and identify resources available to churches who wish to be agents of reconciliation and change in their communities. A discussion with peers about what's happening in youth ministry and culture today, advice and best practices for new and seasoned youth workers, and ways the Youth Ministry Network can “encourage, support, and challenge. What really goes on in a pastor search process? A behind the scenes look at what went on in one church's search process from a search committee, the new pastor, and those who helped along the way. Northside Baptist Church in Clinton, MS explores what went well, what didn't, and how candidates and churches navigate the complex system of a search and call. CBF congregations and communities are filled with military members and veterans and they need ministry too! This informational workshop is for anyone interested in military chaplaincy as well as those who want to know how to support loved ones or congregation members who are in the military. Breaking the cycle of debt and shame for your minister! The main impediment to effective leadership in the congregation is the stress of money and debt in the life of a minister. This workshop will look at the Ministerial Excellence Initiative and how we are working to break the cycle of debt and shame and blame. You can help lead to redemptive activities that will help release your minister from this stress! Qualified applicants can receive a grant of up to $10,000 for debt relief and retirement! Press freedom is not only a critical right worthy of defending but also essential to ensuring religious freedom. Without the right to publish, faith communities cannot enjoy complete religious freedom. This session will explore troubling national and global trends on declining press freedoms, how restrictions on press freedoms currently impede religious efforts in several countries, and how Baptists can advocate for greater press freedoms. A comprehensive and integrated approach to engaging scripture immersed our congregation in an encounter with Jesus through the message of Luke over a five-month journey. Journeys in Luke: Rediscovering Jesus included all sermons using Luke texts, specially written Sunday school lessons for all ages, Bible studies, and other resources including a guidebook/journal for the entire experience, and two seasonal devotion guides, one for Advent and one for Lent. Attendees will hear how we went from “Great Idea!” to implementing a plan, including the steps between, for how to make it happen. Samples of our resources and materials will be available. Come listen to and dialogue with a diverse group of CBF pastors as they share about preaching in today’s culture and context. Diversity and the variety of lenses by which congregants view and hear sermons has called for new ways of crafting, delivering and debriefing sermons. This workshop invites you to dialogue around different preaching styles and be introduced to resources that can assist today's preacher in fulfilling her or his call to preach. Members of the CBF/BWIM Clergy Sexual Misconduct Task Force will give an update on their work, provide written resources for congregations and show an educational video. Task force members will lead a discussion highlighting proper prevention and responses from churches. This crucial workshop will equip both ministers and lay people with the vital components for LGBTQ inclusion within congregational settings. Participants will receive firsthand experience from a gay minister who’s helped lead a CBF congregation in becoming fully inclusive. We’ll discuss what LGBTQ folk look for when choosing a faith community and why details matter. Second, we’ll cover different methods for beginning congregational discussions and implementing inclusive actions. Lastly, you’ll learn why LGBTQ inclusion is vital to the continued life and value of the Church. Living out the Dream of Dr. Martin Luther King Jr.
After an experience of hate and blatant racism, a youth and youth intern recommit to racial reconciliation. We will present steps that individuals and churches can commit to following so that Dr. Martin Luther King Jr.'s dream can become more of a reality today. Churches across the Fellowship partner with local schools on behalf of kids in their communities. From providing reading buddies and mentors, to backpack ministries feeding hungry kids, to raising money and celebrating teachers and administrators - churches care about schools. Come learn how to extend that mission commitment to advocacy for all kids in your state. Pastors for Children launched in Texas in 2013 and has begun expanding to states across the county with a strong CBF presence including Oklahoma, Florida, Kentucky and Tennessee. Come learn how to launch a chapter in your state to impact the lives of all of God’s children. The Enneagram as a tool for self-understanding, relationship building and spiritual growth continues to gain prominence in a variety of settings. It carries with it the potential for substantial personal and spiritual development, both individual and corporate. Facilitated by a diverse group of practitioners and friends of the Enneagram within CBF life, this workshop will provide a brief introduction to the Enneagram system followed by an exploration of its usefulness as a transformative tool within the spectrum of CBF life. Participants will learn what resources are available to them for study and use of the enneagram in their own contexts. 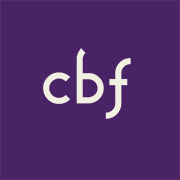 CBF launched a podcast in early 2016. Each episode shares stories from across the Fellowship and innovative practices of those working to renew God’s world. The vision is to share ideas, stories, and innovations from ministers, authors, and practitioners.  The CBF Podcast will host a notable author or practitioner for a relevant talk, dialogue, and question/response time with participants.